In fact, more is known about the stone than that, and still more speculated. 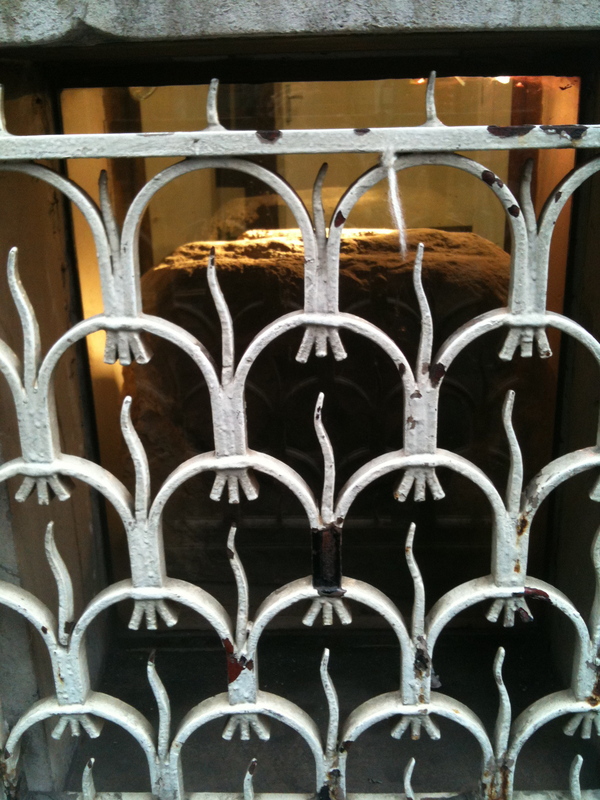 Referred to by Shakespeare, Blake and Dickens (‘that curious relic of old London’), the most widely disseminated story seems to be that London Stone was put in place during the time of the Romans, and it was the point from which they measured distances from Londinium (i.e. 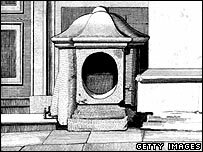 it was a milliaria or milestone). Although there is no indisputable direct proof that this was the case, there seems to be substantial circumstantial evidence that it is indeed ancient. There are a series of legends that date the stone at around 3000 years old. Some of these claim it as a Druid stone, part of a circle that stood at Ludgate (the burial site of King Lud in the first century BC), on the current site of St Paul’s Cathedral (this account was favoured by Blake). Certainly, this is one of the oldest settled parts of London. Cannon St flanks St Paul’s and becomes Ludgate Hill running west from the current St Swithin’s site of the stone, and nineteenth century excavations at the side of Cannon St station found significant pre-Roman walls. Another legend claims that the stone is the Stone of Brutus, and was a part of an altar of a Temple of Diana, built by Brutus on the hill where St Paul’s now stands. According to this legend, the city of London was first founded around 1070 BC (as ‘New Troy’, ‘Troia Newydd’ or ‘Trinovantum’) by Brutus of Troy, who (according to legend) was sent to Albion with the Britons by the godess Diana. According to this legend Brutus defeated a race of giants led by Gog and Magog on the Thames (there are statues of these two at Guildhall, and now as guardians of London they still lead the Lord Mayor’s parade each year). 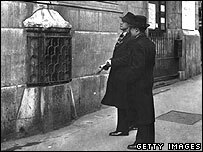 There is an old proverb that states ‘So long as the stone of Brutus is safe, so long shall London flourish’. 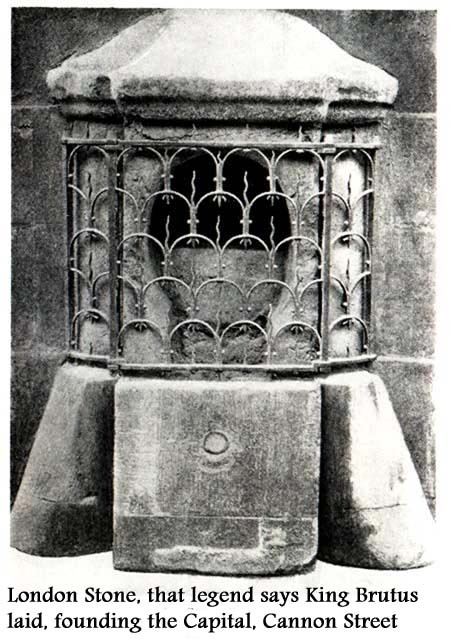 The stone is a fragment of a bigger stone, which may still be located below the pavement of Canon Street – there are repeated references to the current fragment being relocated to the wall of the Wren’s St Swithin’s London Stone church after the Great Fire, as part of a widening of Canon Street. Equally, it may well have gradually reduced in size as pieces of it were taken for occult use. It would seem that Dr John Dee, the alchemist of Elizabethan London, certainly took pieces of the stone to experiment on. London Stone and its associated cast of characters has appeared in the texts of centuries of London writers. Beyond Shakespeare, Blake and Dickens, John Dee became the main protagonist in Peter Ackroyd’s 1993 novel ‘The House of Doctor Dee’, a story which referenced Michael Moorcock’s ‘Mother London’ myth of a troglodytic race of Londoners. Similarly, the geomantic aspects of the stone’s history – highlighted in 2002 by a ‘Reclaim the Stones’ march that paid their respects at London Stone before making their way to St Paul’s to demand the demolition of the cathedral and its replacement with a stone circle (it is reputed to be the point at which leylines cross) – found echoes in Iain Sinclair’s work in particular. The tendency of this recent generation of London writers to dwell upon arcane and speculative moments in the city’s past provoked James Heartfield to argue in a Blueprint magazine article back in 2004 that this writing was nostalgic and reactionary, and needed to be understood as the mythic correlate to processes of gentrification in London during this period. There is something of substance to this analysis, to be sure, and as Heartfield notes, it can be particularly useful in understanding Ackroyd’s work. However, there are problems with other aspects of Heartfield’s analysis that are worth briefly revisiting today. I would concur with Heartfield that there is a need for suspicion regarding some of the myths of organic continuity that can characterise Ackroyd’s work – he is right that these kinds of fictional-mythic histories can easily play into the hands of conservative forces of all kinds – particularly when it shifts from London to Albion. However, Heartfield seems to reject the possibility of any useful creative work with our history, and that seems somewhat excessive. Whilst there is a populist element to these histories, the role that they play in the imagination is not so easy to pin down. More generally, it could be argued I think that the resonance of London history is as much to do with a growth in urban consciousness in opposition to national awareness, as it does with nostalgia per se. Writers like Iain Sinclair arguably produce a difficult mythic narrative imaginaries, which are not unrelated to surrealism (in the service of the revolution) in this regard. Whilst Benjamin is perhaps too often appealed to when discussing these questions, but he does notably argue for the possibility that old objects and histories contain objective surreal and revolutionary potential, precisely because they come from a different London. 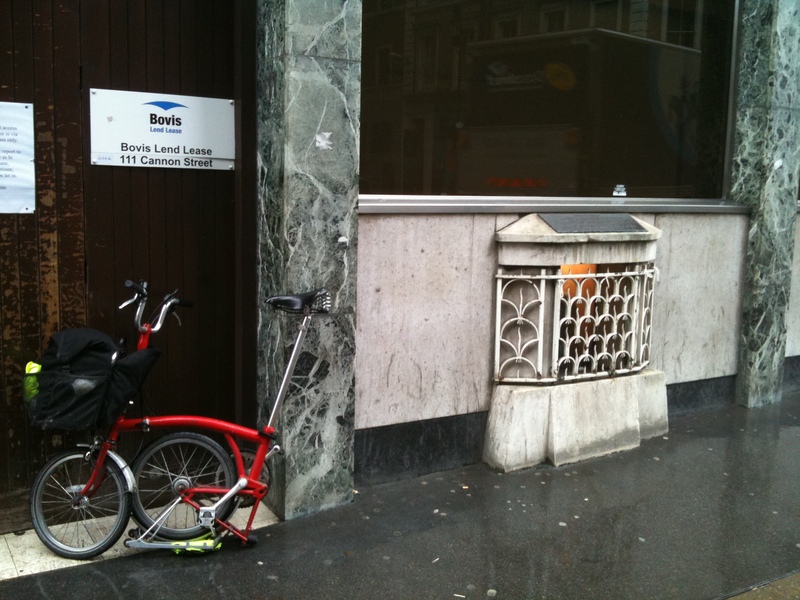 It seems crazy to abandon this imaginary space to the right, and I look forward to a future revolutionary role for London Stone! 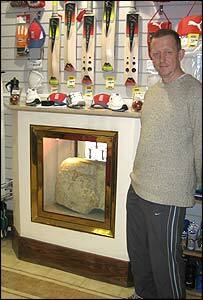 Curiously, the stone was nearly lost a few years ago before being rescued from builders by Chris Cheek! It may yet suffer that fate… when I passed it the building was empty again, possibly awaiting demolition… keep an eye on it..